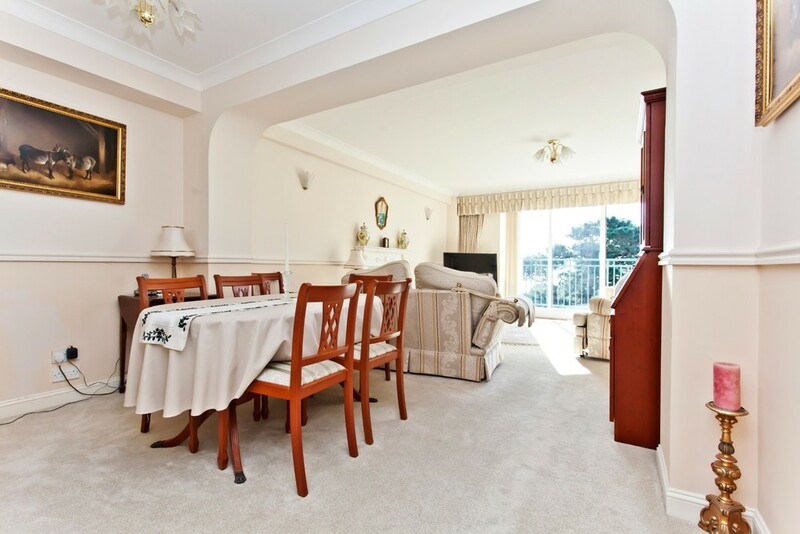 AN EXCEPTIONAL, SPACIOUS AND BEAUTIFULLY PRESENTED TWO DOUBLE BEDROOM FIFTH FLOOR SHARE OF FREEHOLD APPARTMENT WITH SEA VIEW BALCONY SET IN A SOUGHT AFTER DEVELOPMENT IN BOURNEMOUTH’S RENOWED EASTCLIFF AREA. 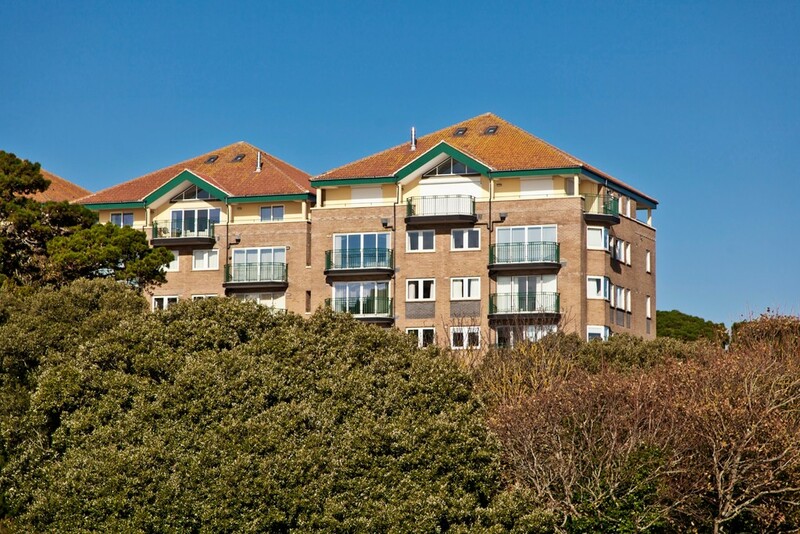 Keverstone Court is a high quality and sought after development with secure gated access off Manor Road between here and the cliff top. 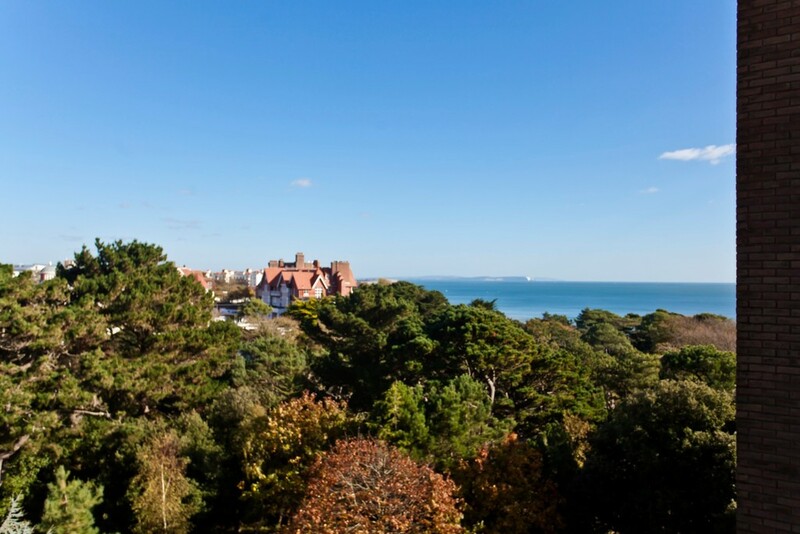 This apartment is in the favoured D Block to the south side of the grounds and being on the fifth floor has views out over Poole Bay from the balconies. 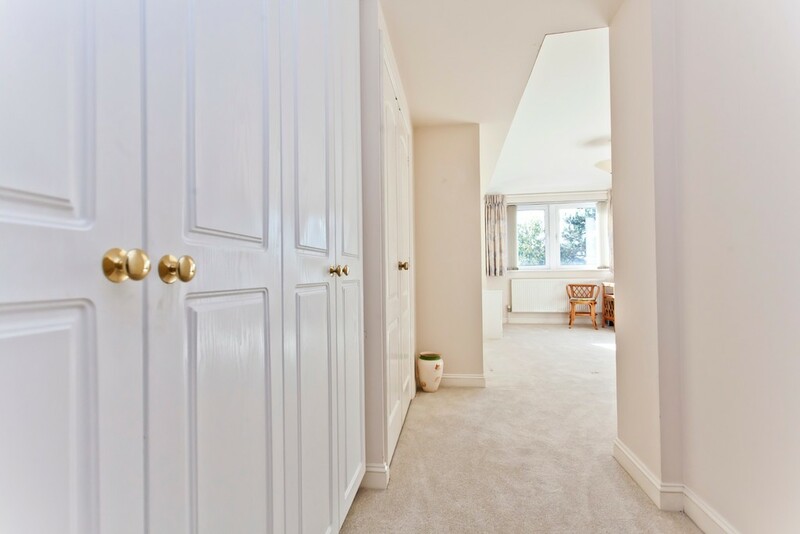 The living room is in two areas with the dining area, to the left as you enter leading through to the living room and then via the patio doors to the balcony beyond. 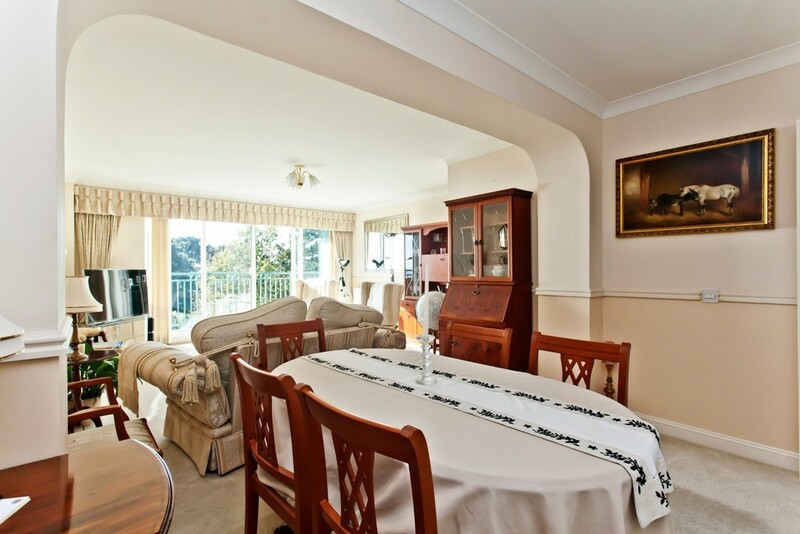 There is ample space for both sofa and dining room suite as you can see from the photographs. 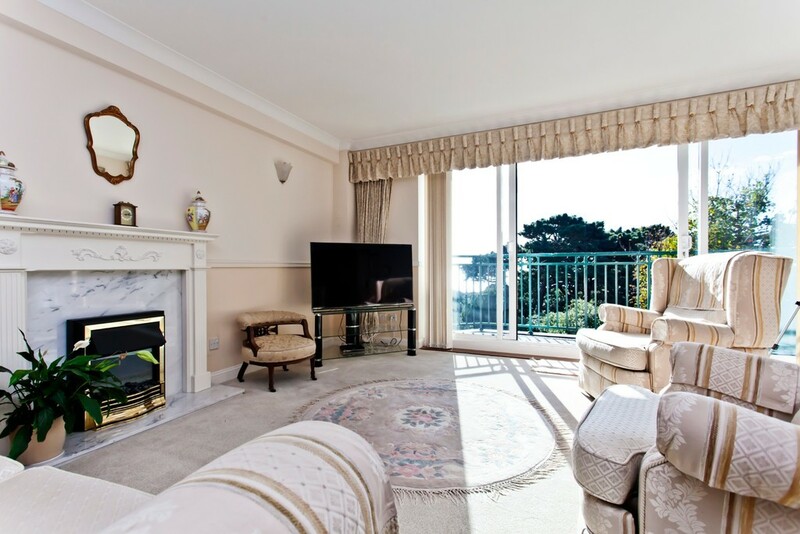 To one wall is a decorative white fire surround with point for an electric fire, dado rail decorative feature, TV Point, telephone point. 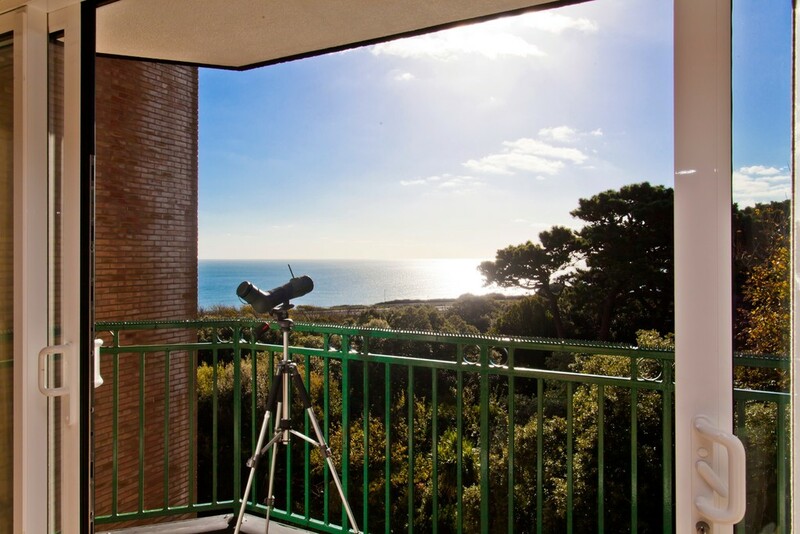 The balcony has a sunny south westerly aspect with views out to the sea and over the trees below. 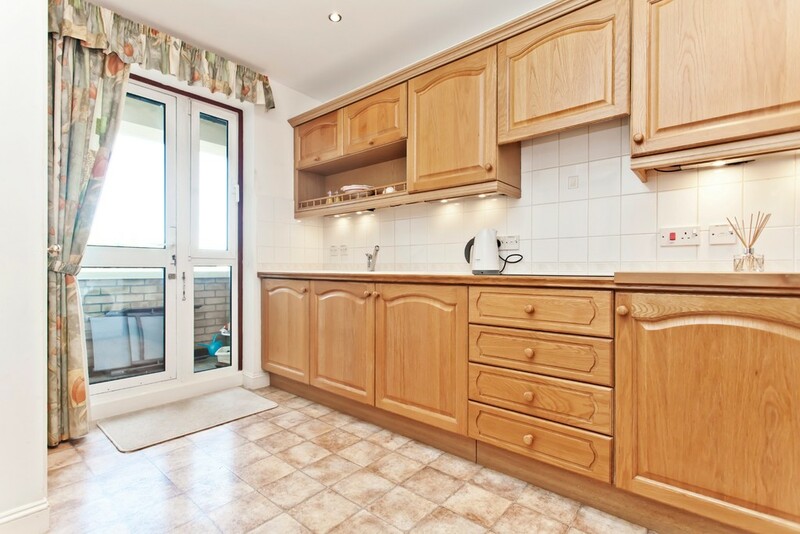 Fitted with a range of wood fronted units and comprises a sink with monoblock mixer tap inset into wood lipped laminate working surfaces with a range of drawer and storage units under, there are tiled splash backs which lead to several eye level wall mounted units over and pelmet lighting under. 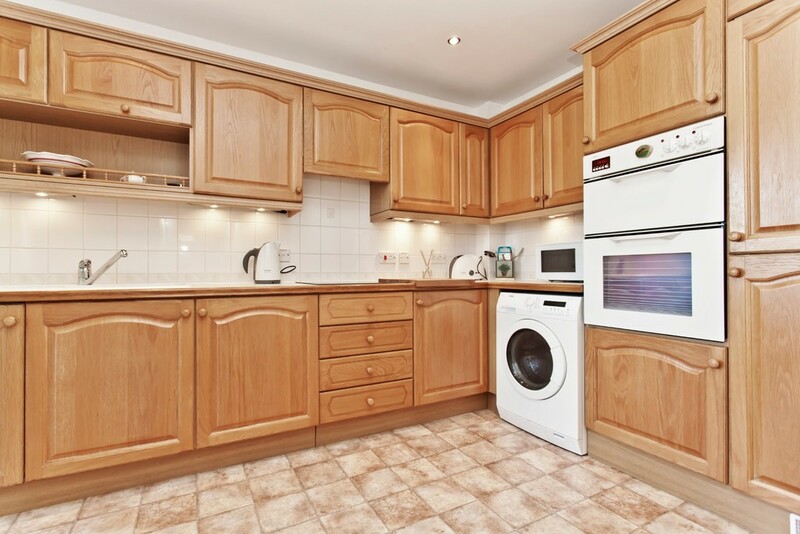 Cooking facilities are provided by an inset electric hob with tall housed double electric oven to the side having a main oven under with a smaller grill oven over. 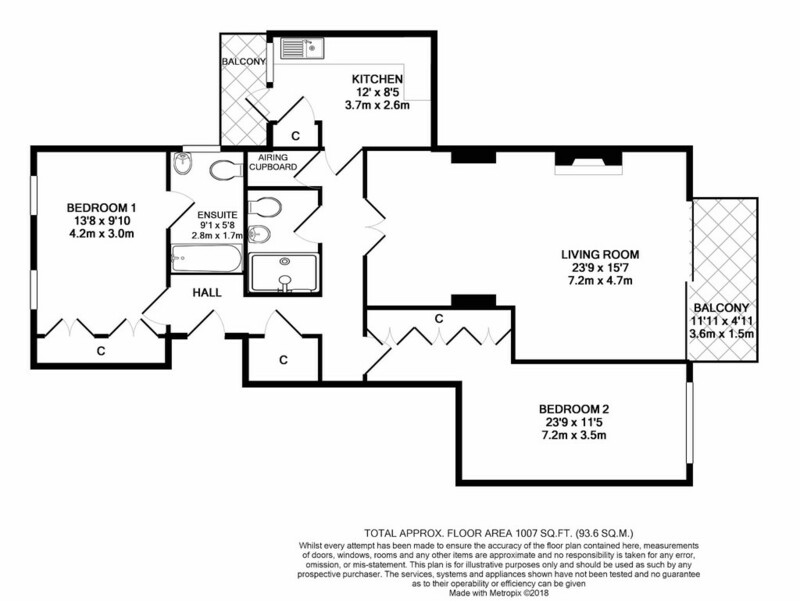 There is under worktop space and plumbing for washing machine, corner built-in cupboard housing the gas fired boiler serving the central heating system and hot water and to this side as well is a glazed door with a window to the side leading through to a second small balcony, ideal as a utility area for clothes drying etc. 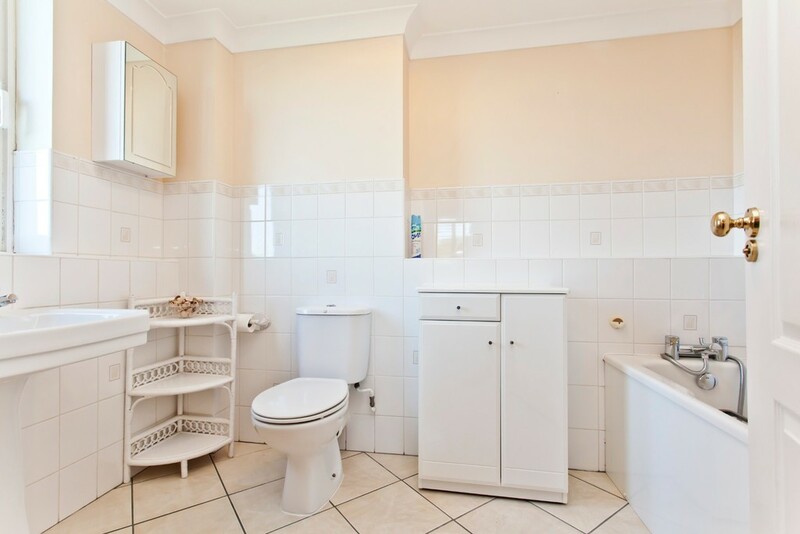 Window to side aspect, with far reaching views out over Boscombe Chine Gardens to the Isle Of Wight beyond, part tiled walls and floor, fitted with a modern three piece suite comprising bath with mixer tap and shower attachment, adjacent closed coupled w/c and matching pedestal wash hand basin, chrome tail rail/radiator. 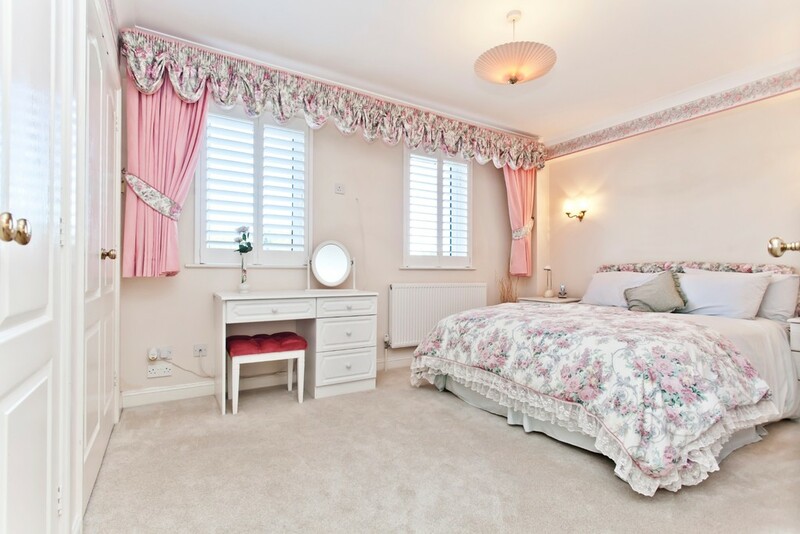 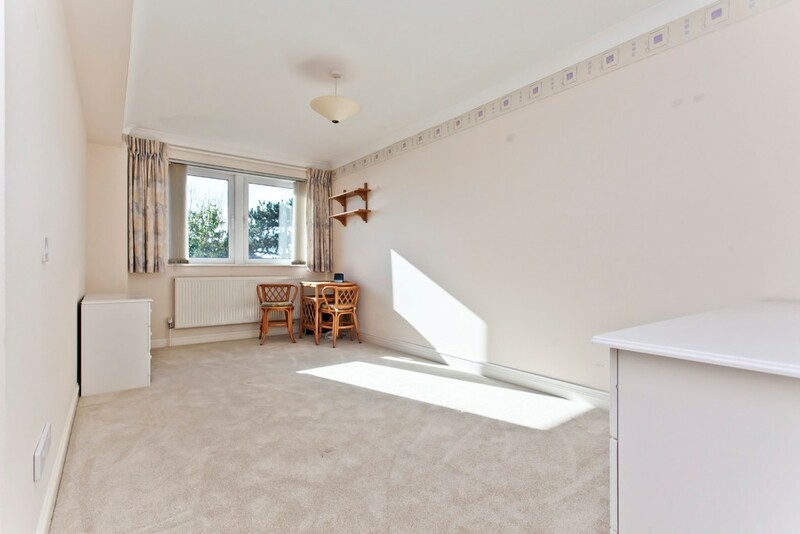 Window to rear aspect, (view similar to the one of the balcony adjacent) radiator, fitted with a comprehensive range of fitted wardrobes, ample space for double bed and additional furniture as required. 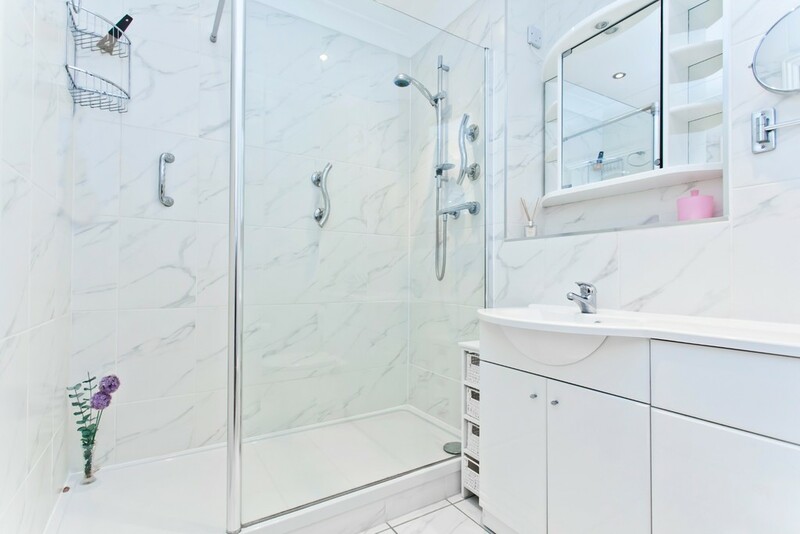 Recently modernised and features a large glazed step-in shower cubicle with wall mounted shower adjacent vanity shelving with inset half housed wash hand basin and w/c. 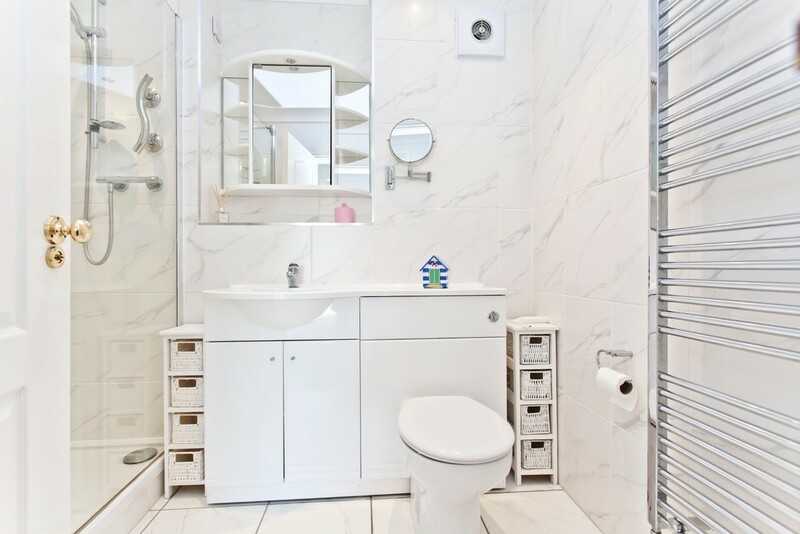 Tiled walls and floor, extractor fan, integrated and illuminated medicine cabinet. 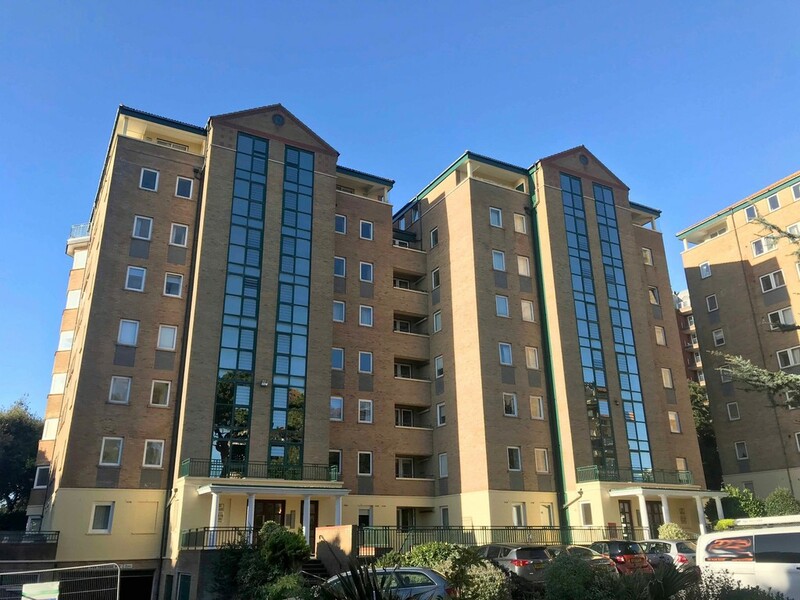 The property is approached from Manor Road by security gates which lead via driveways to visitor parking and then separately down to the basement garaging area where one space is allocated to this flat and from here there is direct, dry, access to the lift and then straight up to the flat. 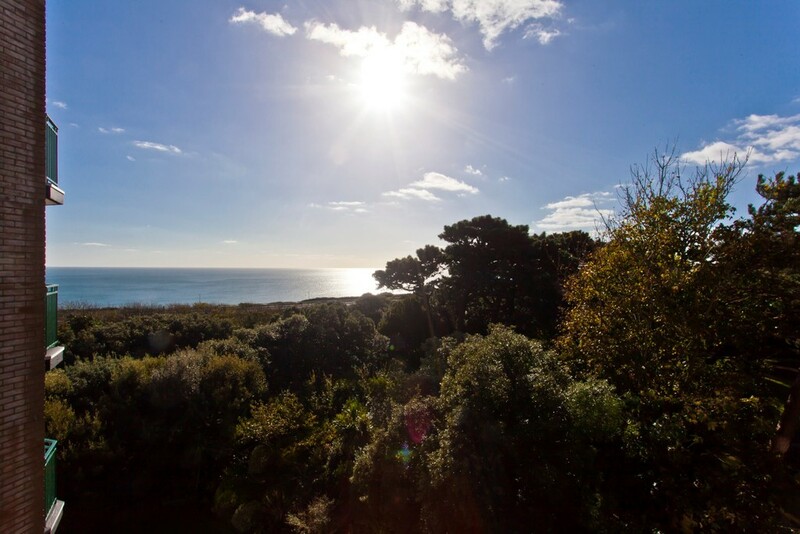 The rest of the grounds of Keverstone Court feature well maintained gardens with lawns and mature trees and the cliff top paths and beach are just a few hundred metres walk away.